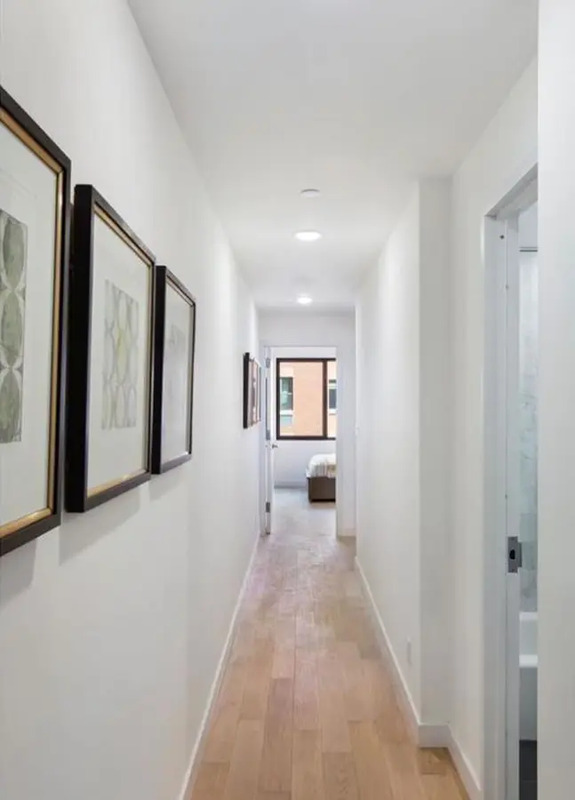 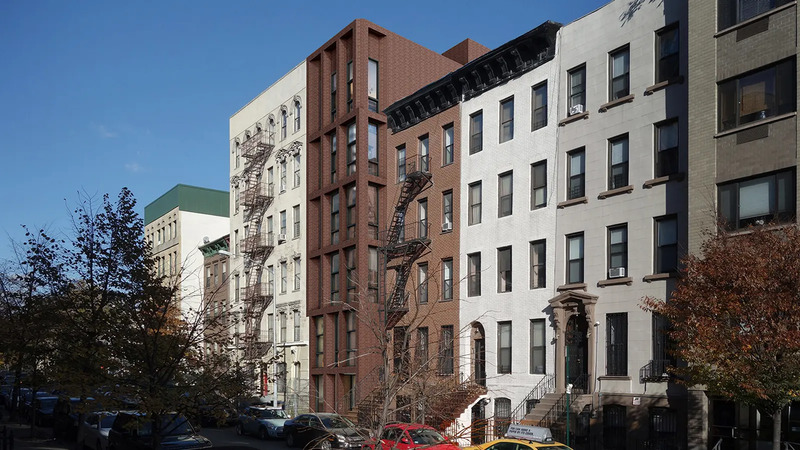 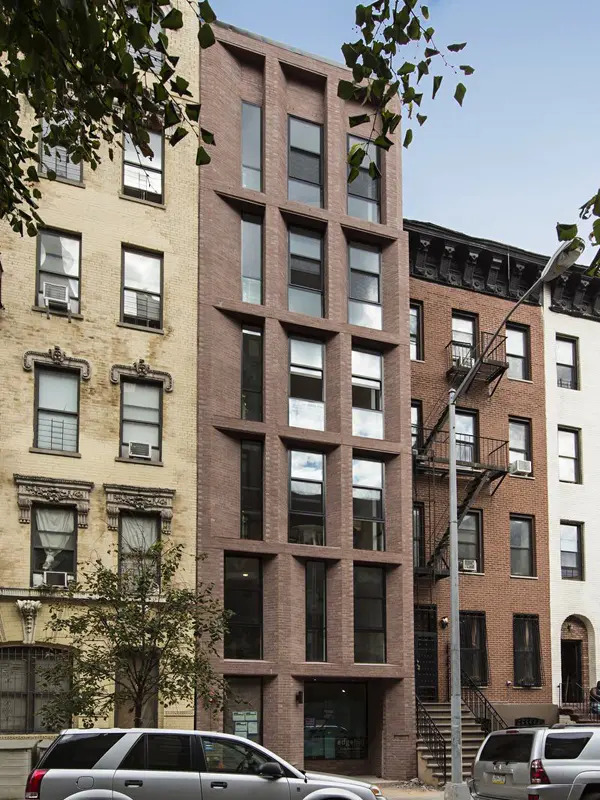 Completed in 2017, the new six-story East Harlem condominium building at 57 East 130th Street contains only five units on a quiet tree-lined block. 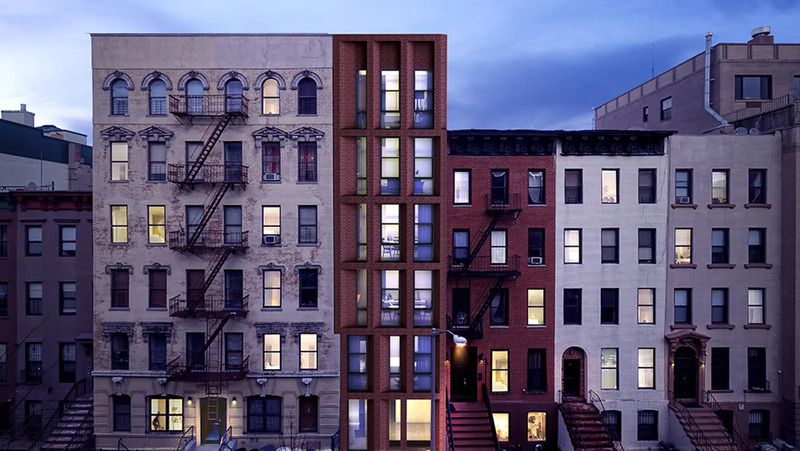 Designed by Robert Marino Architects with Leehong Kim Architects, its narrow street-front is clad in a robust brown brick façade with windows divided by angling piers. 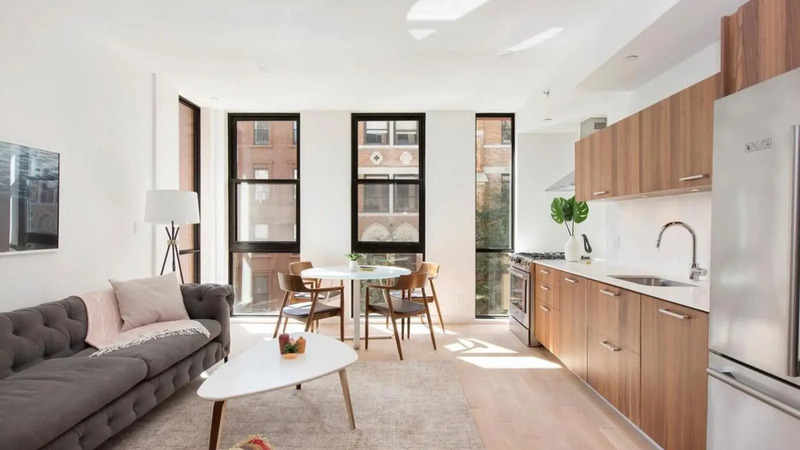 Inside, residences boast floor-to-ceiling windows and white oak floors. 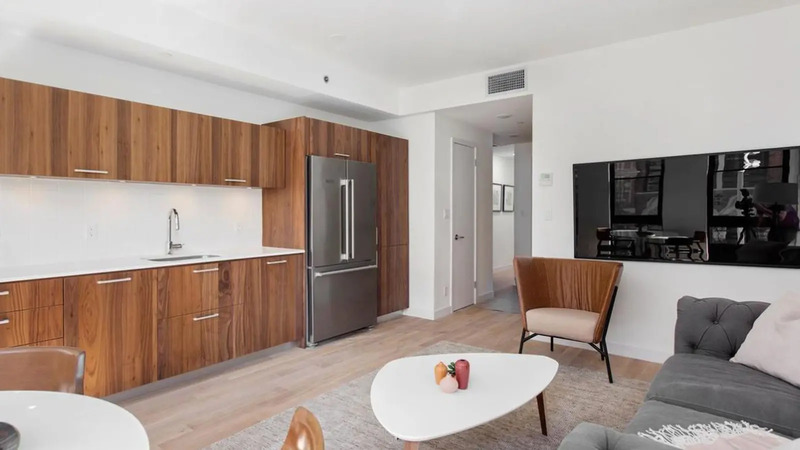 Open kitchens have Bosch appliances and walnut cabinetry, while baths feature marble tiles and Grohe and Toto fixtures. 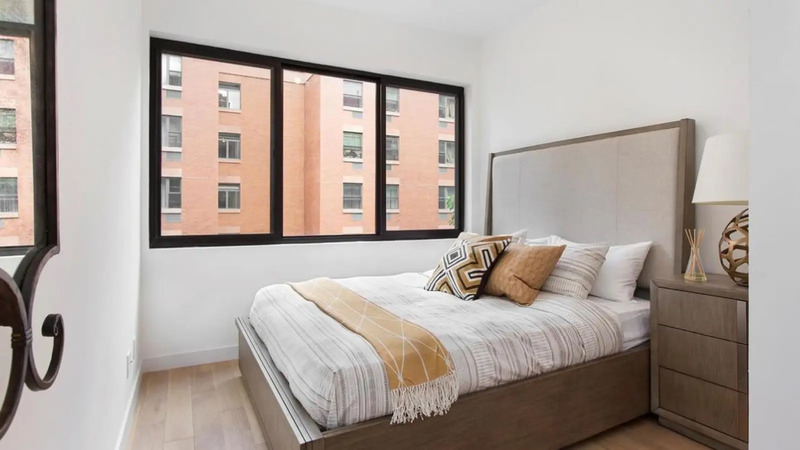 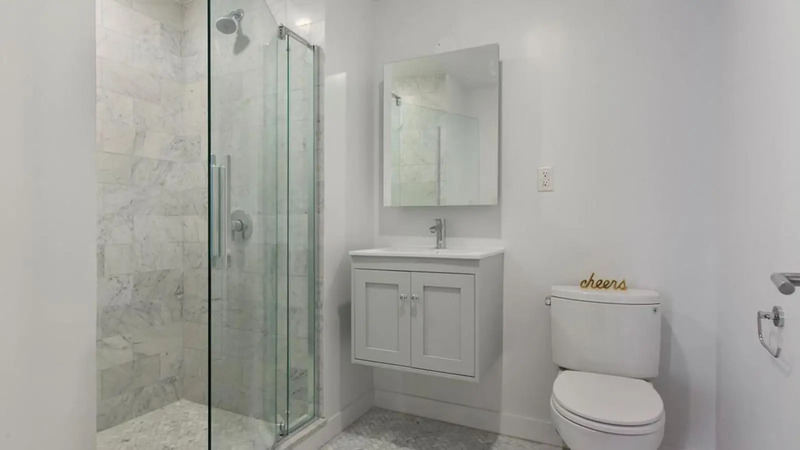 Amenities include a virtual doorman, storage and bike storage and in-unit washer/dryers. 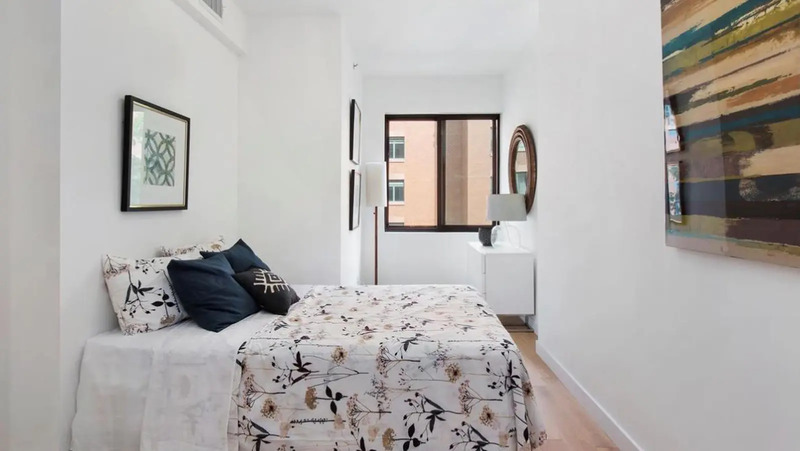 Nearby you’ll find Harlem classics like Red Rooster and Sylvia’s, and Harlem River Park is a short walk away.